Redington seal easy victory at Shepherds Bush, condemning Investec to a 29 run defeat. On a lovely summer evening in London, Redington joined us for the eagerly anticipated annual 20/20 at the Shepherds Bush Cricket Club, hoping for revenge following a convincing defeat last season. Redington were sent in to bat first and it was the young duo of Joe Evans and Matt Cleary facing off against both the right arm military medium of Mike Procter, who was flying high following his 3 wickets the previous week, and the right arm fast of Saffer Grant Macdonald. The game started slowly as both batsmen were reluctant to lose their wicket given half of their team was yet to arrive. 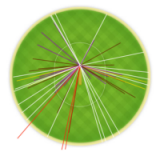 Investec thought they’d spice up the agricultural run rate of the opening few overs by bringing on Ethan ‘Catapult’ Allen who failed to bowl no less than 8 extras in his 2 over cameo appearance – with the ball pitching on all 3 landing strips of the Bush square. However, it was actually Allen who made the breakthrough, Evans the culprit, chasing one of Allen’s ‘pies’ and unfortunately finding the safe hands of Stephen Lee. Minuk Lee was next into the crease and his presence seemed to kick start Matt Cleary into action, as he raced away to the retiring score of 25 with some excellent stroke play leading to a couple of boundaries and a lot of good singles. Lee was soon dismissed by the nifty bowling of David Hearn and in came the dangerous left-handed duo of Raja Haroon and Bryan Verster. The pair upped the run rate somewhat but were soon halted – Haroon removed with a respectable 14 from 18 and Verster 8 from 11 – this saw Redington at 93-4 with four overs remaining. After a quick turnaround, the Investec smiles were soon wiped – what Redington lacked in numbers, they more than made up for in their bowling and fielding skill. The left-hand opening bowling of passionate Bryan Verster proved all too much for the top of Investec’s order, who were about as solid as the England top order – finding themselves three down in just as many overs. Verster’s bolts were accurate, fizzing and ultimately unstoppable. The collapsing Investec saw some slight resistance from David Hearn and Varun “Brian Lara” Laijawalla, both plodding upto 8 runs, but this didn’t last too long. Summoned was what can only be described as the “fielding performance of dreams”. Hearn – run out (Cleary)… Laijawalla – caught & bowled (Ansari, Verster)… Procter [dangerman] – unbelievably caught & bowled ([gazelle-like] Haroon, Wayne)… Macdonald – caught & bowled (Wayne, Cleary). Some extraordinary catches and run outs saw Investec blown away, sitting at 39-7 off 9 overs. The remaining Investec wickets managed to restore a hint of pride. Debutant Steve Lee proved himself to be a born natural as he hit some lovely shots to reach an astute 12, equally supported by Ed Rickard who shot 8. However, it was in the 15th over that Investec were finally conquered by the excellent Redington, being all out for 79. Impressive bowling figures came from Verster and Cleary, steaming in to finish on 4-11 and 3-6 respectively. A special mention must go to Atul Shinh who scored and (albeit questionably) umpired the game.